The Great Fire of Hamburg in 1842 was the first large loss to shake the by then already multinational insurance industry. Many British insurers faced enormous losses and subsequently retreated from the German market. 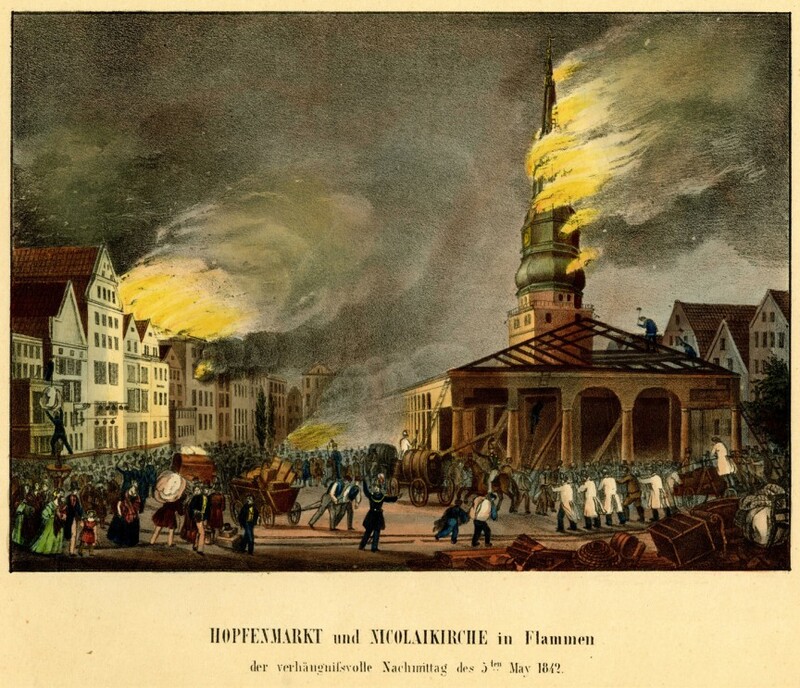 The foundation of the world's oldest pure reinsurance company Kölnische Rückversicherungsgesellschaft (Cologne Re) is associated with the Great Hamburg Fire, but endeavours to keep reinsurance premiums in the country appear to have been at least as important for its foundation.